In World Inc., you will meet a new breed of companies, from Toyota to Hewlett-Packard, GE and Wal-Mart, Electrolux to Whirlpool and Interface, Green Mountain Coffee to Starbucks, Shell to BP, with the vision to infuse aspects of Social Response into their products. Capitalism is in the midst of profound transformation. 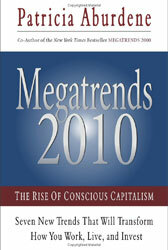 I call this megatrend the rise of Conscious Capitalism. In World Inc., Dr. Bruce Piasecki explores the same phenomenon through the practical prism of product innovation and corporate strategy. What Bruce Piasecki sees will surprise and inspire you. More important, it will offer you — as an investor, consumer, business leader, or activist — the core principles and visionary insight you need to identify which companies will succeed in the 21st century, and how the result will be a better society. Readers who long for "a better world" and suspect business has a big role to play in achieving it will be heartened. Skeptics, critics and perhaps a few activists who blame business for pandering to the unquenchable demands of mass consumerism will encounter a decidedly different view on what the best businesses are up to. Specifically, this sixth book by Bruce Piasecki tackles the provocative idea that by creating better products, business — rather than government, or even religion — is ideally positioned to make this world a better place. Of course, the key word is "better," and Bruce Piasecki really means it. World Inc. documents the larger, historical context of product development, examining, for example, how products have evolved from Deming's post-war revolution and the subsequent Total Quality Management movement up through the present environmental age where more of us are asking the green questions: Is this product sustainable? Is the corporation sustainable? Piasecki's corpus and consulting practice speaks to the clear link between environmental and economic sustainability. This book creates a new lattice structure linking the growth of business to the needs of society. In World Inc., you will meet a new breed of companies, from Toyota to Hewlett-Packard, GE and Wal-Mart, Electrolux to Whirlpool and Interface, Green Mountain Coffee to Starbucks, Shell to BP, with the vision to infuse aspects of Social Response into their products. He looks at the winners and losers in this space dispassionately, with insight and advice on how to address rising social problems from climate change to avian flu. These firms, as well as others Piasecki cites in his five prior books and Lexis Nexis monograph series Corporate Strategy Today, develop products with features that might be called "Earth-loving, Energy saving, Values-laden or Waste-adverse." In short, these companies are aware they reflect social values. All of which delight the hearts of more than 60 million Conscious Consumers. If you are one of them, values influence your purchases, from the coffee you grab en route to work (Is it shade grown? fair trade? ), to the laundry detergent you pick up at grocery store (Is it phosphate free? ), or the ink cartridges you order for the office (Can we recycle them?). Piasecki extends your product selection list to include a range of social products — from your household appliances to your car and your computer. In the last two chapters on money, he talks about new financial products to help us get past Enron and Worldcom and the other recurrent financial fiascoes. 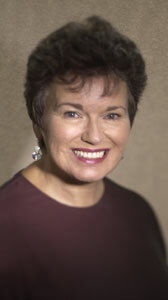 Dr. Piasecki knows deeply about what he has chosen to explore in this book. A student of business and policy by training from Cornell University, and a former professor of management at America's oldest engineering college Renssalaer Polytechnic Institute, Piasecki spent the past 25 years as the founder and president of the AHC Group, a management consulting company specializing in financial risk control and corporate strategy. By chance, Piasecki founded this group in l981, when IBM issued the first personal computer and when firms like HP were beginning down the paths this book explores. In many ways, this book reflects on the social meanings of this 25-year march. For the last 17 years, the AHC Group has worked annually through its Corporate Affiliates programs for 40 of the largest companies in the world. Bruce and his staff of Senior Associates help these giants link their corporate strategy with energy and environmental and product leadership. They do this by linking their social positions with their key financial risk reduction needs and plans. Since l981, Piasecki has been in the trenches of corporate America — as well as in the "corporate mansions" of key global multinationals from BP and Suncor Energy to DuPont and Dow. Since 1981 he has advised hundreds of clients how to manage the cutting-edge issues of energy and the environment and product selection; and when he can, he aligns though exceptional facilitation skills their product launches with these emerging social needs. This book brings us all into a contemplation of our roles in facilitating the search for superior products. How the new trinity of corporate strategy will reinvent the ideology of capitalism. Why the rise of social branding is a new century central item for businesses. How competition based primarily on price is quickly becoming out-dated. How Toyota Motor Company and HP wove key social and energy concerns into the creation of the innovative Prius hybrid automobile. Why Hewlett-Packard's bold e-Inclusion Initiative — to bring technology to the Third world while finding millions of new HP customers — will continue to thrive even under the firm's new cost-cutting regime and new leadership team. Why third-party rating agencies — outfits like Innovest, Standard & Poor's, the Investor Responsibility Research Center and pioneers like Wayne Silbey, co-founder of the Calvert Group play in measuring intangible assets — are discovering new financial products and valuation methods that will assure a better world. In Megatrends 2010, my newest book in the Megatrends series, I suggest that the Age of Information is rapidly coming to its natural end. The fascinating new era described by Piasecki as our "new global equity culture" is taking place. I call this coming epoch "the New Economy of Consciousness," a time when more of us will earn our living through creative genius of human consciousness. As I read World Inc., what Bruce Piasecki is documenting here is the process by which business is designing superior products through the input of greater human consciousness — both social, intellectual and environmental. What I write about is happening in society. What Piasecki discerns is a new active force within major firms, something all firms must mimic and excel at to survive. "A well-made product embodies key social values."